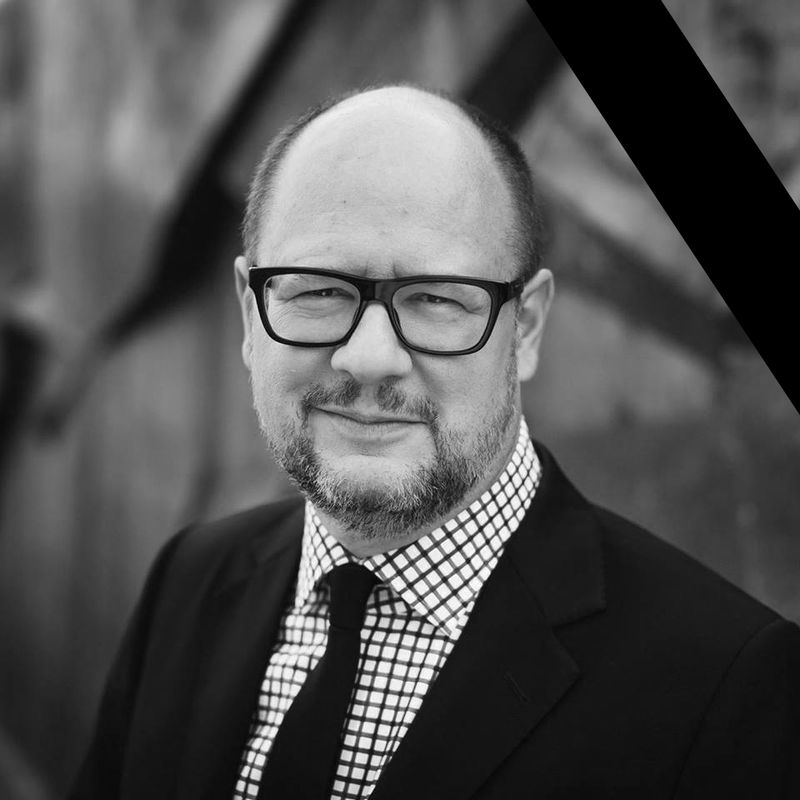 The funeral will be organised by the City of Gdańsk together with the family of the late Mayor. Thursday, January 17th 3 pm –a City Council session will be held for the commemoration of Mayor Adamowicz in the Artus Court. At 5 pm the Mayor’s coffin will be carried to the European Solidarity Center and will stay there until 5 pm Friday. A place will be available to pay tribute to the mayor. A book of condolences will also be available. On Friday, January 18th at 5 pm, the coffin will be transferred to the St. Mary’s Church where it will remain until midnight. Details on the route of the transfer will be provided later. The remains of the late mayor will be cremated. On Saturday, January 19th the funeral mass will start at 12 pm. The mass will be transmitted to screens outside the church (more details soon). Please refrain from giving condolences to the family. On Friday and Saturday public transport will be free. Media accreditation will start on Thursday.